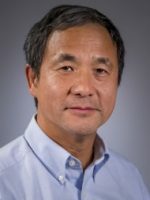 Congratulations to Dr. Jim Liu, UNM Distinguished Professor! Three UNM Health Sciences faculty members have been promoted to the rank of Distinguished Professor. They are: Dr. Ke Jian “Jim” Liu, associate dean for Research, College of Pharmacy; Dr. Kurt Nolte, professor of Pathology & Radiology and Chief Medical Investigator; and, Dr. Mark Burge, Regents Professor of Medicine. The three were selected for their outstanding achievements both nationally and internationally. The title is the highest honor that UNM can bestow on a member of its faculty.